These days, Downtown L.A. has a little something for everyone, including the health conscious. Add to that list Cafe Gratitude, the organic vegan restaurant (with locations already in Larchmont Village and Venice) that is set to open in early 2015 at the spiffy One Santa Fe complex located in the Arts District. “As an LA-native, it’s been thrilling to see how the area has developed in recent years, and we are humbled by the opportunity to join such a dynamic community,” said CEO Lisa Bonbright in a statement. 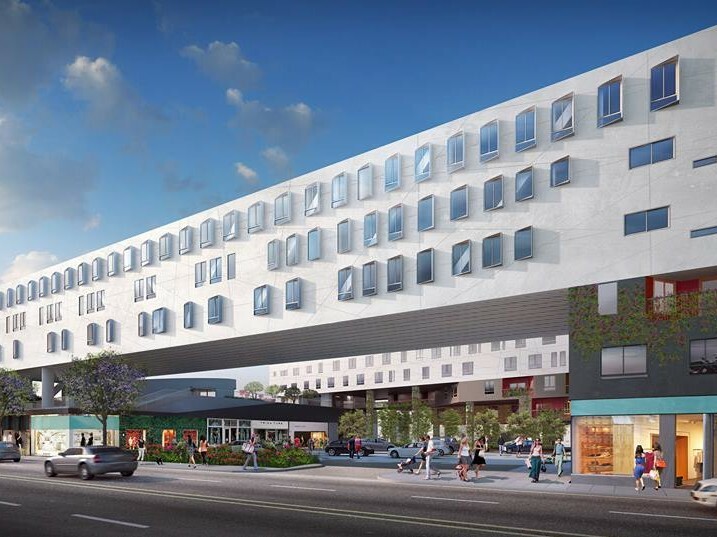 Cafe Gratitude will join a community of 25 other designers, restaurants, retail shops and art spaces within the mixed-use development, in addition to a 99-seat theater, skin and hair apothecary Malin + Gotez, Van Leeuwen Ice Cream, and the Manhattan Beach-based GROW Market. With terrace views and rumors of a nearby Metro Line, One Santa Fe is shaping up to be a legitimate self-sustaining live, work and play environment. Behind the menu at Café Gratitude is Executive Chef Dreux Ellis, who will offer seasonal-driven cuisine inspired by growers markets and founders Matthews and Terces Engelhart’s Be Love Farm in Vacaville. Cafe Gratitude will be open daily for breakfast, lunch and dinner, and diners can stop in for a cup of Stumptown coffee, freshly pressed juices, or grab-and-go pastries. Previous articleRebecca Minkoff is Moving to Melrose!